These days, it seems that there's no place that jeans are considered inappropriate. Countless offices have been freed from the constraints of strict dress codes (not to mention it's now arguably "cooler" to make less of an effort on a night out than we once did). 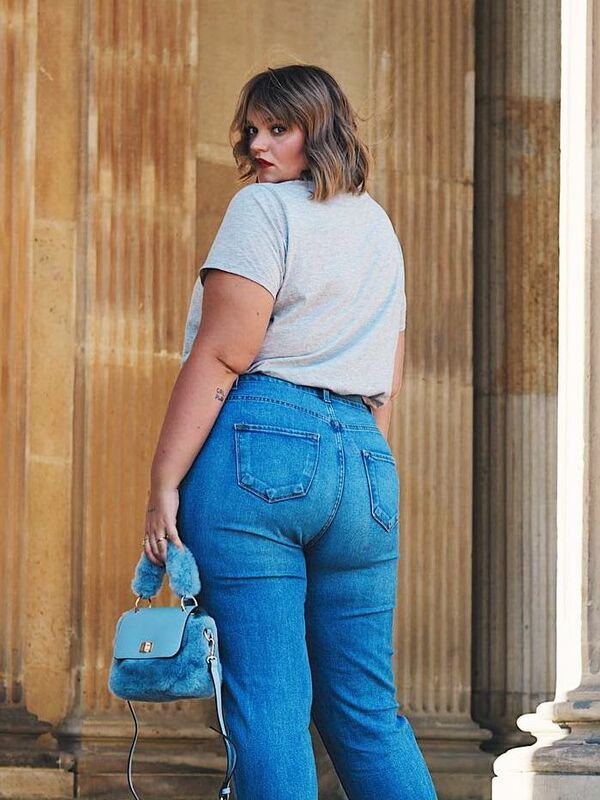 As such, jeans have become the ultimate round-the-clock staple as opposed to the weekend throw-on they were once considered to be. Speaking from experience, I found that a short break—be it a few days or a week—was all I needed to reignite my denim fire. I planned my non-jean outfits in advance, then, as I tend to use my commuting time for scrolling anyway, I began to archive how to wear jeans when my self-imposed ban was lifted. The fruits of which you'll find below. While straight-leg jeans are my personal preference, I've categorised the inspo by jean style. Simply hone in on your go-to and see how influencers are wearing theirs. "How to wear jeans?" is a question you'll never have to pose to yourself again. Style Notes: Tamu's grey jeans offer a modern take on the '70s staple—as do her metallic mules and button-down shirt. 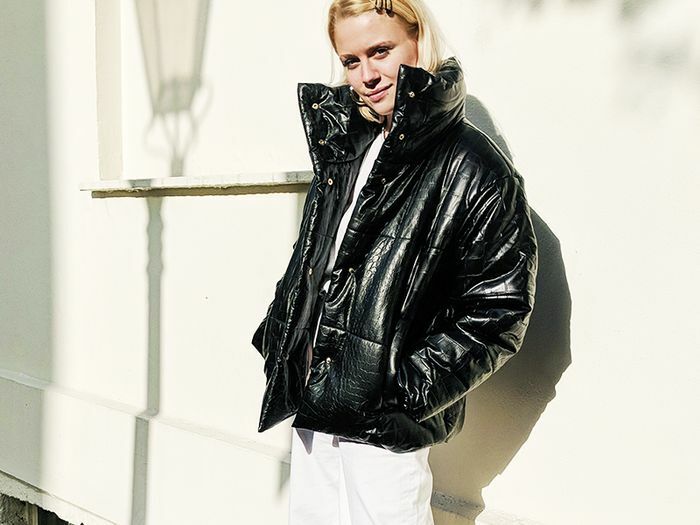 Style Notes: Ada's combination of ripped jeans, patent boots, a padded puffer and oversized shades is the coolest thing we've seen in a long while. Style Notes: As they're cut closely to the body, skinny jeans look particularly excellent with oversized coats, just like Khaoula's, in fact. Style Notes: Straight-leg jeans have fast become the It girl's denim of choice. Wear them with going-out tops and unassuming shoes for fashion kudos. Style Notes: Straight-leg jeans look their best with statement boots that sit underneath the trouser leg. Case in point? Hannah's patent numbers. 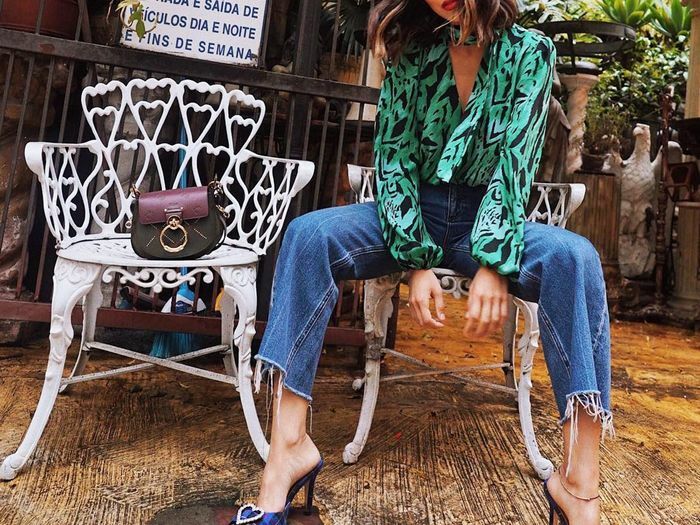 Style Notes: If you're a maximalist like Ellie, straight-leg jeans provide the perfect blank canvas for out-there cover-ups and bright accessories. Style Notes: White jeans can work for the office as long as you follow Xiayan's lead by wearing them with a camel blazer, a roll-neck and black shoes. Style Notes: Who said the double-denim look was reserved for blues only? 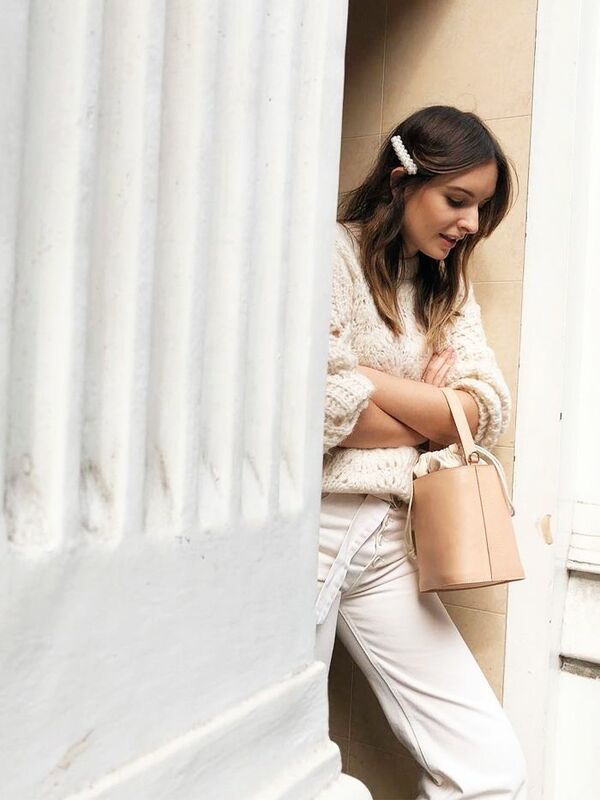 Courtney's white-on-white ensemble is the stuff dreams are made of.